Pioneers in the industry, we offer vibration data collectors from India. We are counted among the most distinguished organizations engaged in trading and exporting Vibration Data Collectors. 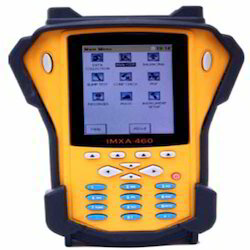 Suitable for collecting data pertaining to motors and plant machines, these digital instruments are manufactured in tandem with industry set standards and using the premium quality material. Rigorously tested before the final dispatch to the customers, these vibration data collectors are flawless in nature and high performing. Looking for Infrared Thermometers ?